The working ranches of Rancho Cacachilas in Baja California Sur offer guests unique opportunities to experience conservation and ranching activities in the heart of the rugged, arid Sierra Cacachilas mountains. During your stay, you’ll gain insight into the daily operations, sustainable practices, and environmental efforts of the ranches. Your knowledgeable guides will happily share information about each of our work ranch activities and where they fit in the larger eco-system of conservation-focused ranching in the dry Baja peninsula. Hands-on participation in several of these activities is available through scheduled educational workshops during the year, as well. Meanwhile, you’ll enjoy the results of the Rancho Cacachilas ranch activities through farm-to-table meals, wine and cheese tastings, mining heritage exploration, trail biking and hiking, and more during your day or multi-day tour with us. Browse through the list explaining the various activities that make up the daily operations of the working ranches. Our educational workshops are an exceptional way to learn the methods and sustainable practices we use for our working ranch activities. Participants love the immersive experience and learning how to implement ideas in their own environments. We create gardens using permaculture designs that not only produce organic crops, but also support and protect our local ecosystems. Learn About This Activity: Join an educational workshop that is focused on organic, permaculture gardening or book a day or multi-day tour where you can tour the gardens and enjoy a delicious Farm-to-Table meal. Hand-milking our own goats and cows, we create traditional fresh cheeses, as well as other varieties of award-winning artisanal cheeses. Working Ranch Location: Dos Hermanos Ranch, at the center of the Rancho Cacachilas complex. Learn About This Activity: Enjoy a cheese and wine-tasting experience during our day or multi-day tours. Want to learn how to actually make cheese? Check out our educational workshops for upcoming cheesemaking workshops. Our 20 beehives play a significant role in pollinating and regenerating vegetation throughout the Sierra Cacachilas mountains and in the San Juan de los Planes valley. Working Ranch Location: San Martin Ranch, in the San Juan de los Planes valley of the Rancho Cacachilas complex. 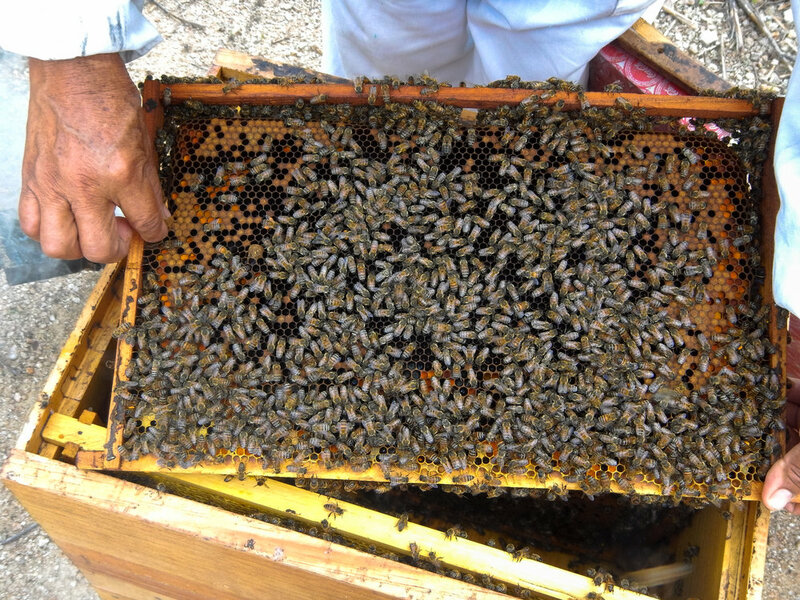 Learn About This Activity: Your guide will share about the process that takes place at our San Martin Ranch, and you can taste our local honey during any day trip or multi-day trip meals. Dating as far back as the early 1700s, Jesuit mining activities took place in underground, gallery-style systems in the Sierra Cacachilas. Opening soon - Museo Ruta de Plata in nearby El Triunfo - a complete immersion into this region’s mining history. Working Ranch Location: Las Canoas Ranch, near the center of the Rancho Cacachilas complex. Learn About This History: Tour the ruins of old mining sites at Las Canoas. Your guide will delight you with the 300 year old mining history of the Baja peninsula region. Visit Museo Ruta de Plata. Sustainable trail design is at the heart of every trail at Rancho Cacachilas. Our holistic and responsible approach to trail construction decreases environmental impact while maximizing soil retention and water drainage. We work first with historical trails that have been used for centuries in this region, and develop to IMBA standards. Working Ranch Location: Trail building happens across the mountains and valleys of the Rancho Cacachilas complex. Learn About This Activity: Get out on any of our trails through mountain biking, hiking or mule riding trips to experience the state-of-the-art trail construction that maximizes your fun and protects the landscape. Your guide will point out where new trail-building is currently underway. Our mission is to be a responsible steward of our landholdings. Land and watershed management is critical in Baja California Sur. It’s how we protect the earth while benefiting current and future generations. Working Ranch Location: Across the entire Rancho Cacachilas complex. You’ll notice the reduced erosion, good roads and healthy grazing lands as soon as you get to the ranch lands. Learn About This Activity: Your guide will share insight to our daily supportive activities for this.We also host an educational workshop on our practices; see the schedule for the next one available. Working with local cowboys, Rancho Cacachilas implements responsible, long-term, productive ranching practices. Working Ranch Location: Casa Vaqueros (Cowboy House) at Gaspareño Ranch. Learn About This Activity: Your guide will share insights into how we rotate grazing areas and protect healthy lands as we travel throughout Rancho Cacachilas. You can also participate in an educational workshop. 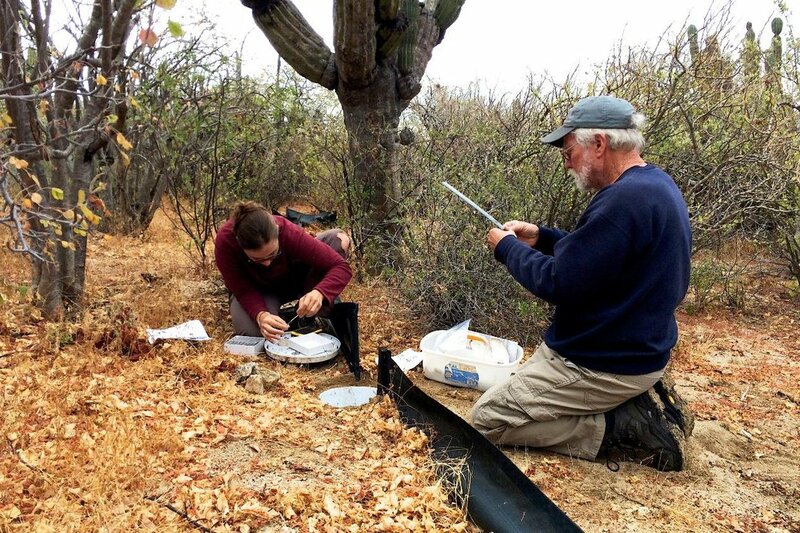 To understand the unique biological and geological diversity of the Sierra Cacachilas region, our team of environmentalists, biologists, geologists, gardeners, and ranchers works to catalog biodiversity and advance exploration of geologic features. Working Ranch Location: Exploration occurs throughout the Rancho Cacachilas complex. Learn About This Activity: Your guide will share insights into how and why we do natural resources exploration, and what the results have been to date.